: WHAT NEXT FOR ODM IN MIGORI? 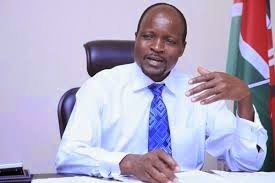 ODM leadership through their leader Raila Odinga must now swallow his pride and recognize Okoth Obado as Migori Governor and allow him to settle down and deliver services to the electorate after a long court battle. ODM must now go back to the drawing board to scheme afresh for 2017. Analysts say that as long as Obado nominates a running mate from Kuria community, the ODM candidate will still be defeated. Migori is one of the most cosmopolitan counties in the country where a key issue has been power-sharing between the Luos and the Kuria. Although the Luo are the dominant group, the county also has significant populations of the Kuria, Luhya, Kisii and Somali. 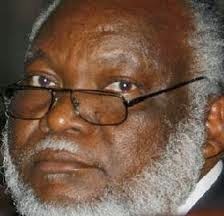 During the last general elections, in a deal brokered by Raila, ODM agreed to leave the senate position to the Kuria and Dr Wilfred Machage hurriedly defected from the Democratic Party where he was national chairman into the Orange fold and comfortably won the seat. 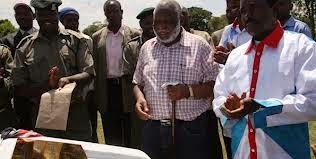 Although Raila pleaded with the electorate to vote for Machage, some of the candidates from Luo community who had shown interest in the seat felt betrayed by Raila. Raila’s long time ally and former EALA MP Ochieng Mbeo did not welcome the idea of reserving the seat to the Kuria community. During the ODM nominations, Okoth Obado had defeated Oyugi Akong’o but ODM Elections Board reversed the results forcing obado to decamp to PDP which was an affiliate of Cord. Akong’o then named Mrs Anne Anyanga as running mate while Obado nominated Mwaita Mahanga who is from Kuria. Obado was finally declared the winner but Akongo went to court and it was only two weeks ago when the Supreme Court upheld his election. As for Machage, 2017 will be tricky for him considering that he was a beneficiary of a negotiated democracy and that might not be the case in 2017.